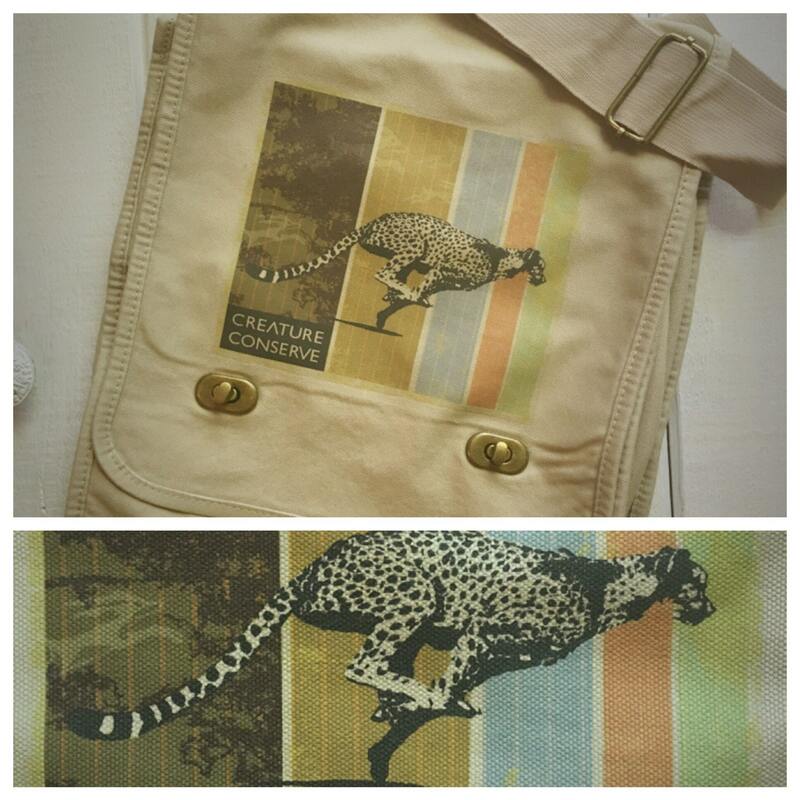 Creature Conserve Cheetah Messenger Bag, heavy duty bag that fits a laptop perfectly! 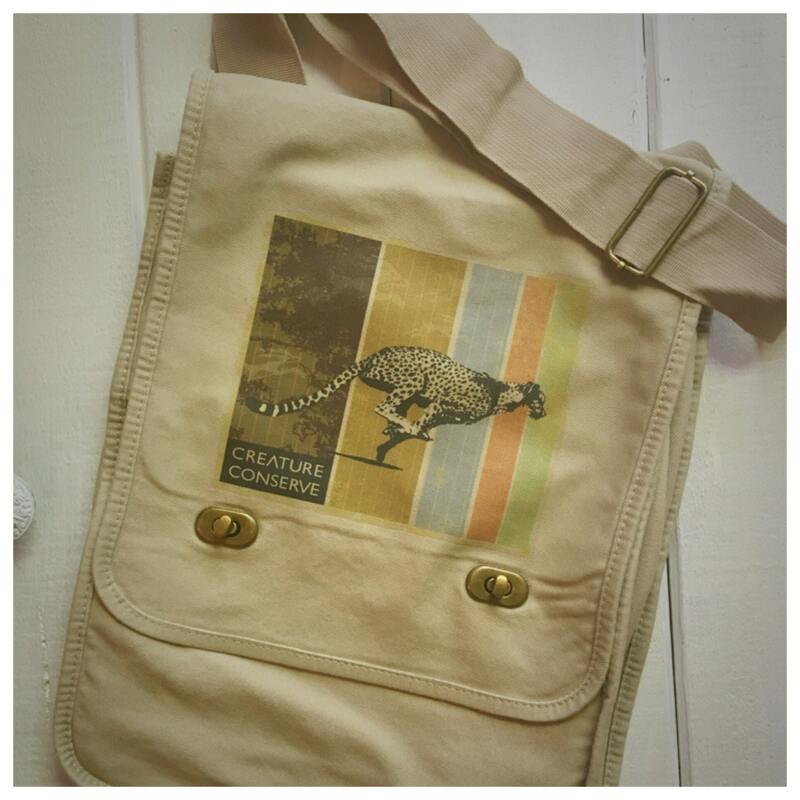 %20 of all proceeds go to CreatureConserve.com. Please visit us on the web and don't forget to "like" is ok Facebook!